In our rapidly changing society there is an increasing community awareness of the importance of healthy lifestyles. Students lead a healthy lifestyle when they live in a way that allows them the greatest chance of achieving and maintaining mental, physical, social and spiritual wellbeing. PDHPE programs play a unique role in the development of students’ knowledge, understandings and practical skills that lead to better health. Self-esteem, social responsibility and well-being. Movement skills and personal fitness. The ability to make informed health and lifestyles decisions. 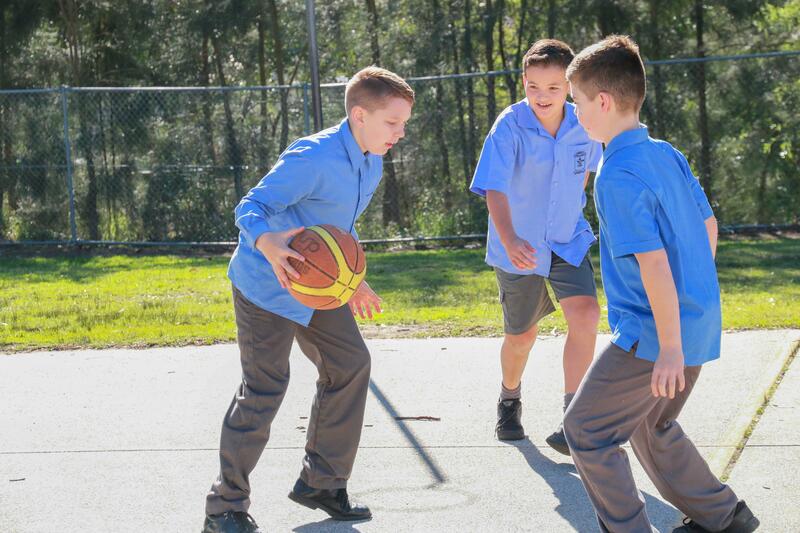 St Benedict’s implements the NSW PDHPE Syllabus. The teacher will structure regular and frequent activities to ensure that learning takes place in each of the eight content strands below each year. A total of two hours per week is devoted to physical activity. A Rock and Water Program is taught to Years 5 and 6 for eight weeks each year. The You Can Do It (YCDI) program is implemented throughout the year. The Five Keys to success (Organisation, Getting Along, Confidence, Persistence and Resilience) is a focus across the school both through classroom lessons and the ‘Bennies’ reward system. YCDI will also incorporate the previous bullying program as an additional resource. To promote healthy lifestyle choices, St Benedict’s is a Crunch and Sip school. On an annual basis, St Benedict’s is involved in swimming and athletics carnivals, visits from various sporting codes, water safety lessons by local council, Hunter Life Education (biannual), cross country, representative sports trials, gymnastics (taught by a specialist teacher), various sporting competitions e.g. Knights Knock Out, Macquarie Cup, AFL Paul Kelly Cup, netball and soccer Gala Days. Click here to download our PDHPE Policy.